It’s been a real dark couple of weeks, so here’s a dose of light. 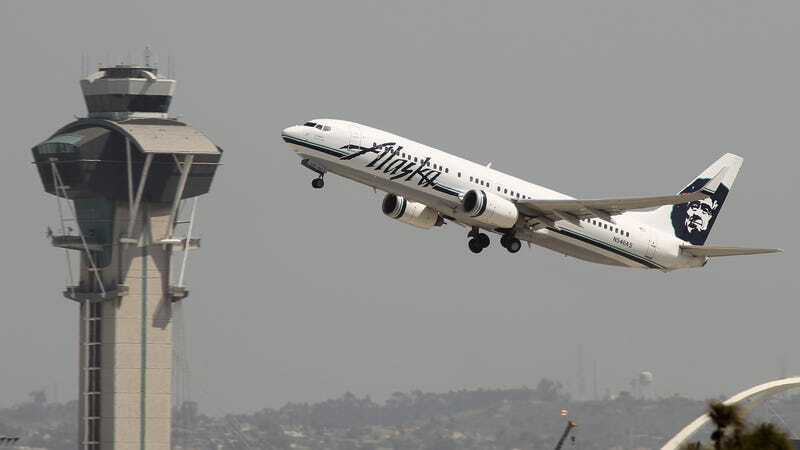 A 15-year-old girl onboard an Alaska Airlines flight to Oregon last week helped a blind and deaf man communicate with flight attendants, after they asked passengers if anyone knew American Sign Language. It is a very nice story. On Sunday, the New York Times stumbled upon a Facebook post by one Lynette Scribner, a passenger onboard the aforementioned flight from Boston to Oregon. According to Scribner’s, flight attendants had been trying to speak to a deaf and blind man named Tim, who was traveling by himself, but were unable to communicate. “They took his hand and tried so hard to communicate with him, to no avail. He had some verbal ability, but clearly could not understand them,” Scribner wrote. Clara and Cook signed with each other for about 30 minutes, with Cook reportedly sharing stories with her about his childhood and his family in Boston. Other passengers, including Cook’s seatmate, also tried to help him open containers and find his way to the restroom. “I don’t know when I’ve ever seen so many people rally to take care of another human being,” Scribner wrote. That’s for damn sure. Now, here are some pandas playing on a slide.